Emirates added Taipei to its list of passenger destinations on Monday with the arrival of flight EK366, the inaugural flight from its home base in Dubai to Taiwan Taoyuan International Airport in Taipei. The airline is now running daily nonstop Dubai-Taipei flights using Boeing 777-300ER aircraft, with eight first class suites, 42 flat bed fold-out seats and 304 Economy Class seats. Emirates has been serving Taipei as a cargo destination since 2003. 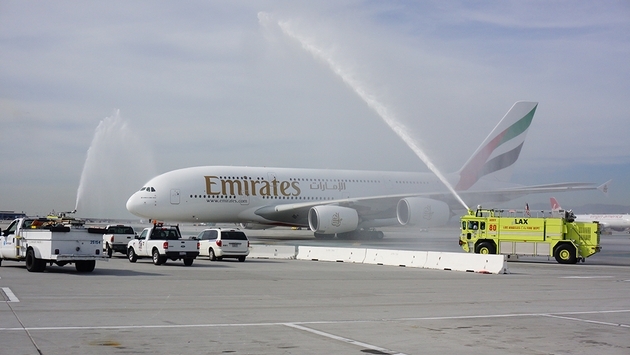 Emirates now operates flights to 141 destinations in 80 countries from its home base in Dubai. The airline will launch service to Boston March 10.